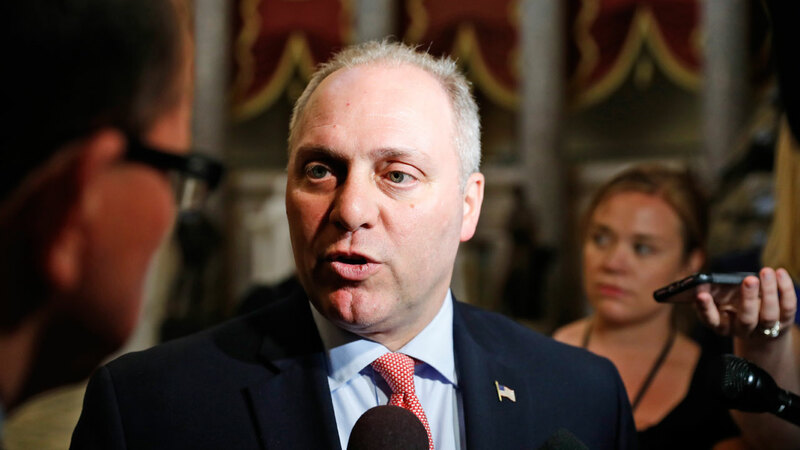 WASHINGTON (WLS) -- House Majority Whip Steve Scalise was readmitted to the Intensive Care Unit at Washington MedStar hospital Wednesday, a hospital spokesperson said. The spokesperson said he was readmitted due to "new concerns for infection," and is in serious condition. Scalise was shot on June 14 in Alexandria, Va., while practicing with the Republican team for an annual congressional charity baseball game. Five people were hospitalized, including two members of the Capitol Police. Shooter James T. Hodgkinson, of Belleville, Ill., was shot and killed at the scene. Scalise was shot in the left hip; the bullet traveled across his pelvis, fracturing bones and injuring internal organs, causing severe bleeding. Scalise remained in the ICU at Washington MedStar Hospital until June 24, when his condition was upgraded to fair. He has remained hospitalized since the shooting. Washington MedStar said they would update the public on his condition again Thursday.